When it comes to the trees of the world, the cherry blossom tree of Japan is one of the most beautiful. These the fall of the pink flower-like leaves of a cherry blossom tree, which is locally in Japan as ‘Sakura’, is a sight that’s related to beauty and the reality of life, it is truly incredible. 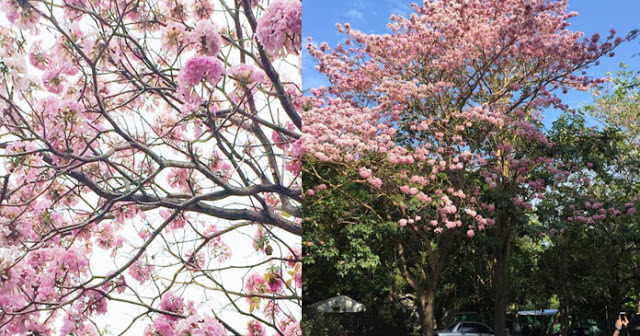 And such beauty and incredibility drew netizens into a haze as they a photo of a cherry blossom-like tree of Cavite is all over social media. Yet impossible it is impossible, cherry blossom need a cooler climate to grow in, and majority of the places in the Philippines have climates is not suitable for the growth of this majestic tree. So when someone posted a picture of a cherry blossom-like tree in the Philippines, people were in a state of awe and shock. But to clear things out, this tree is not a cherry blossom, it is a native tree in Palawan which is known locally as ‘balayong’. Due to the efforts of curious netizens, the viral tree was found to be in De La Salle University Medical Center. The Philippines may not experience the captivating and majestic rain of sakura petals of Japan, but having a local tree that is somewhat close to what a cherry blossom looks like is a blessing in itself.